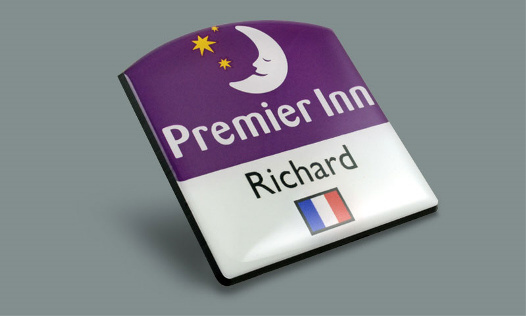 We at Top Worth Advertising we can supply you with Multi Purpose name badges with easily removable names. A perfect solution for a company / establishment with dynamic staff. Never spend over and over again on the badges. 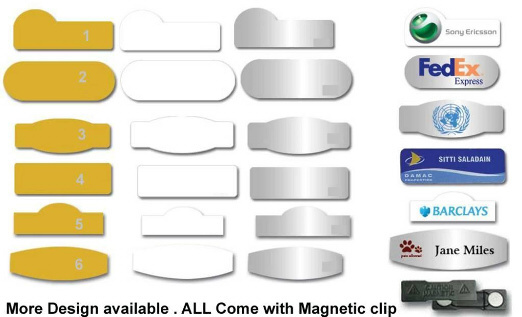 We have been providing quality magnetic badge holders, reels, lanyards, name badge holders, ribbons and name tags. We have everything from fun neon lanyards to professional trade show credential neck wallets. Increase security with our color coded ID badge holders. Our All-In-One badge holders come with a matching cord, making this an event planners dream. Our printed and engraved name tags are available with a variety of fasteners including magnetic, pocket slide, pin and clip. TWA are a great way to get the conversation started! Whether you're organizing a special event, or looking to give your business and staff a professional image, our wide variety of options is sure to provide just what you're looking for. 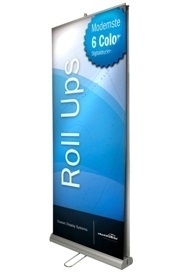 We look forward to helping you choose the perfect product for your needs. Whether you are looking for name tags for a dentist or doctor's office, trade show or conference, restaurant, office or retail location, Name Badges International can assist you with your badge order. 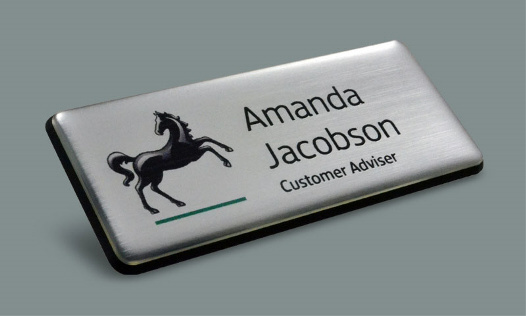 The name badges themselves are available in a range of shapes, sizes, colors and materials, allowing you the freedom of choice to design the perfect name badge for your company. 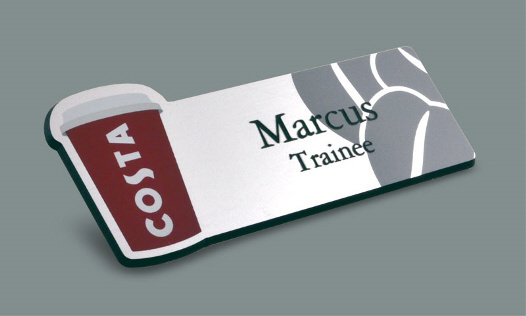 Our name badges come with a choice of pin, clip or magnetic fittings for greater flexibility, allowing you to choose the most suitable attachment method for your particular workwear.